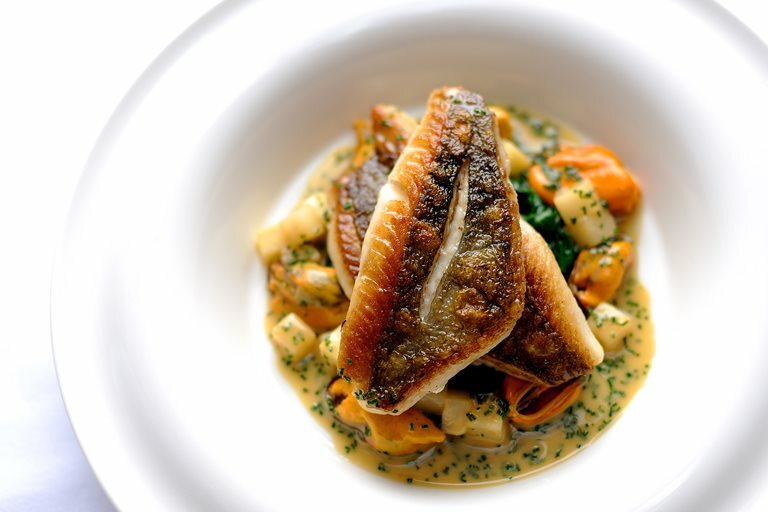 William Drabble's pan-fried John Dory recipe lovingly pairs the firm, white-fleshed fish with mussels, earthy spinach, apple and celeriac. Also known as St Peter's fish, tradition says that the characteristic black spot found on either side of the body is an impression of the saint's thumb. John Dory is rather fiddly to handle, so ask your fishmonger to fillet the fish for you – but keep the bones as you will need them for the wonderful cider sauce.